Last week was our workshop titled, “Making Waves”. 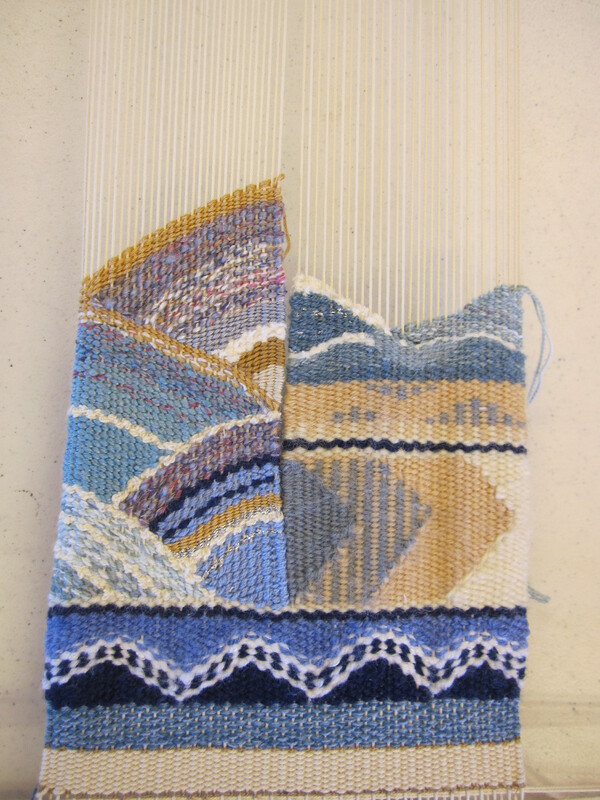 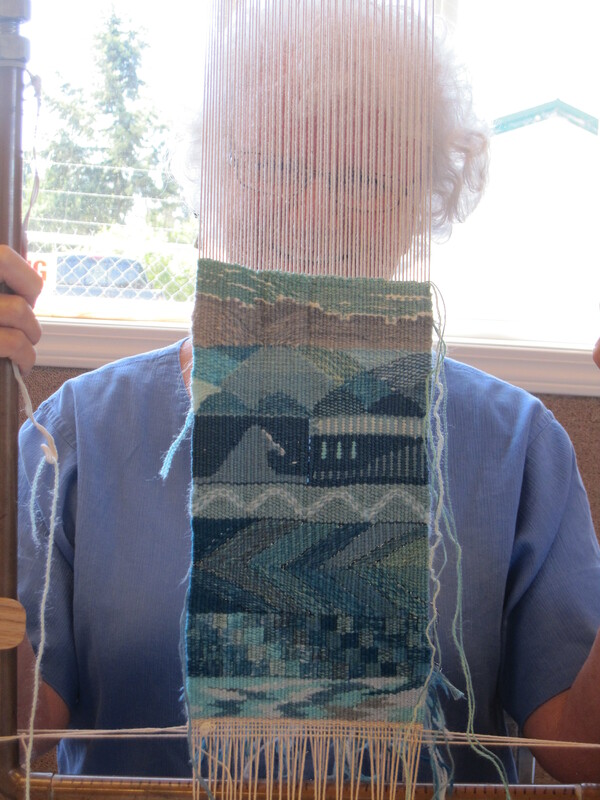 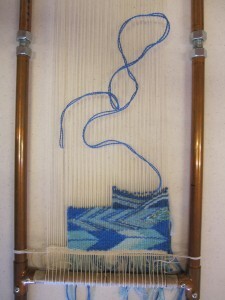 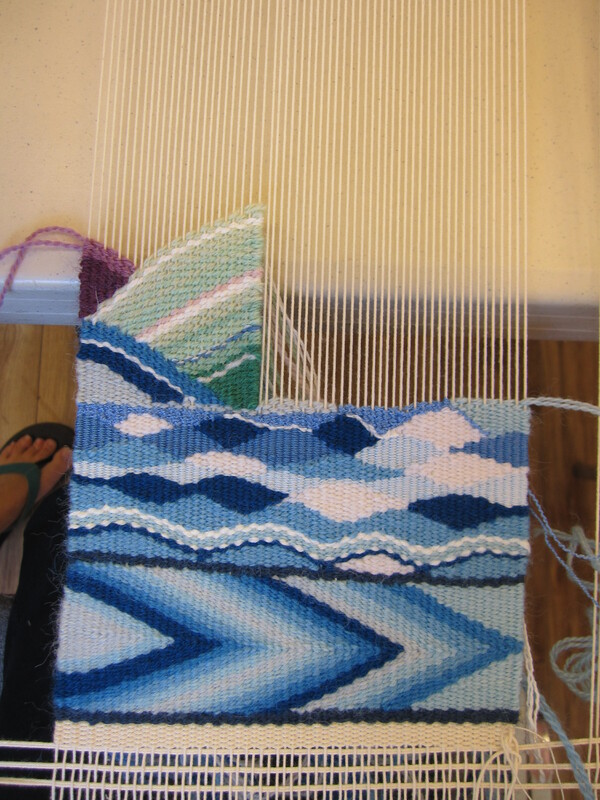 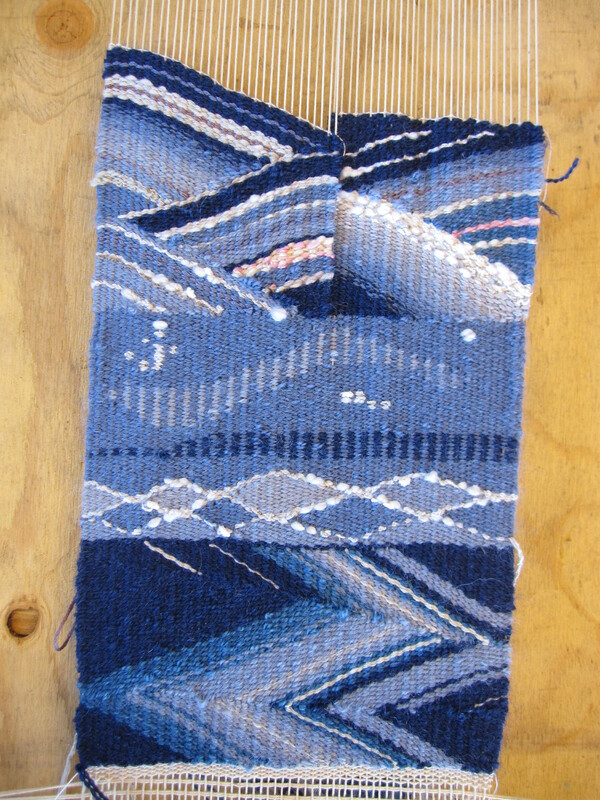 It was for intermediate tapestry weavers where we worked with the shape of the wave as our inspiration. We looked at different wave shapes and used pick and pick and wedge weave to weave stylized and realistic wave shapes. I have included photos of the students’ samplers. 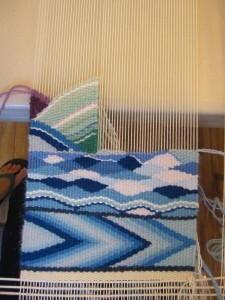 Excellent job by everyone. 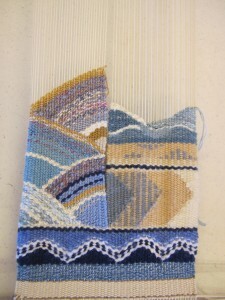 Each student brought their own yarns and small portable looms as well as inspiration from magazines and photographs.